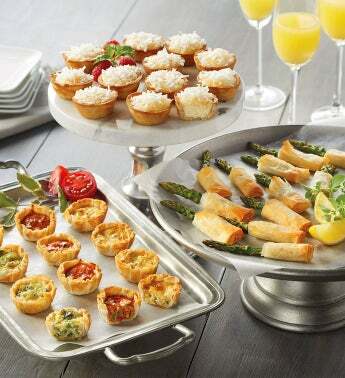 Host brunch effortlessly with a trio of deliciously sweet and savory delights. Roasted asparagus wrapped in fillo dough and dusted with Asiago and Parmesan cheeses can be easily cooked in the oven until crispy. 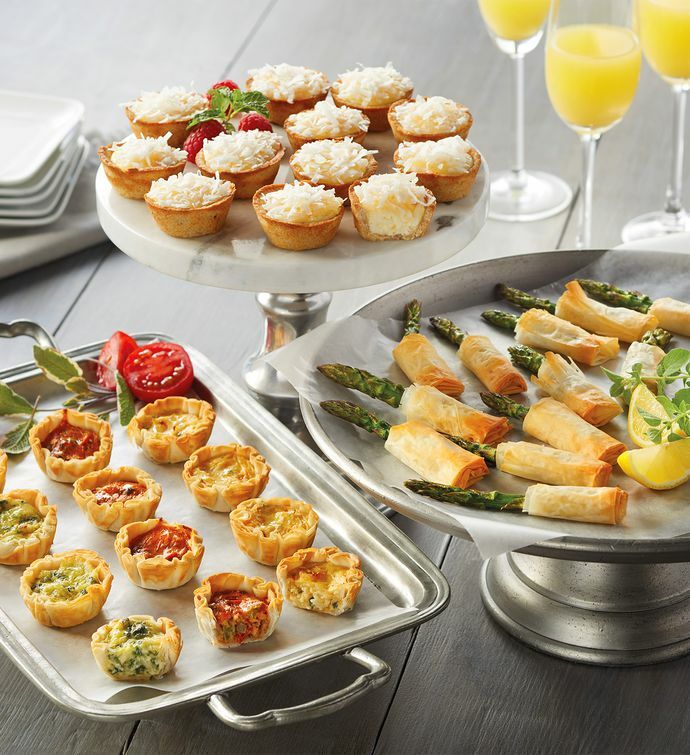 Assorted mini quiches are ready to heat and serve in three great flavors: three-cheese, mushroom and red pepper, and spinach and swiss cheese. All three quiches are made with light, flaky mini fillo shells that are each filled with a creamy, savory filling. And for a sweet finish to your gourmet get-together, simply thaw sensational lemon coconut cheesecakes before serving.